Ram Nath Kovind, former governor of Bihar and former member of parliament, 14th president of India. Kovind was born on 1st October, 1945 in Kanpur Dehat District of Uttar Pradesh (UP) in a poor family. His father was a farmer, he did not has any land of his own. They used to live in a mud hut. When he was just five, his house caught fire and his mother couldn’t survive the fire, and he lost his mother. Ram Nath used to walk 12 kilometres barefoot everyday to school and way back home. He pursued his Bachelor’s of Commerce from DAV College and LLB from Kanpur University. Ram Nath Kovind went to Delhi to prepare for civil services exam. He passed the exam in third attempt. But decided to practice in law, and turned down the job offer in civil services. Honourable President got enrolled as advocate with Bar Council, Delhi in 1971. He provided free legal service to women and poor, under Free Legal Aid Society. In 1978, he became Advocate on Record in Supreme Court of India. He also worked for Prime Minister Morarji Desai as personal assistant in 1977 to 1978. He practiced in Delhi High Court and Supreme Court for 16 years. In 1991, he joined Bhartiya Janta Party. He became president of BJP Dalit Morcha and All India Koli Smaj. He also served as spokesperson of BJP. Mr. President donated his ancestors house to his village. He developed schools, branch of State Bank of India, electricity facility in every house of Paraunkh Village using MP funds. As MP not only this village, he also developed Kanpur City. In 1994, he was elected as Rajya Sabha member from Uttar Pradesh. He served as Rajya Sabha members for two consecutive terms. Kovind has always worked for minority and poor section of society. He also competeted on BJP ticket from Ghatampur and Bhognipur (Uttar Pradesh) assembly constituencies. But he lost in both elections. On 8th August 2015, he was appointed as Governor of Bihar. He was known as ideal and impartial governor. With his humble attitude, he played key role to lessen bitterness between Prime Minister Narenda Modi and Nitish Kumar ( CM of Bihar). In 2017, Ram Nath resigned from Governor post. In the same year he was nominated for presidential election by BJP. He won the presidential election and took oath on 25th July, 2017 and became 14th president of India. 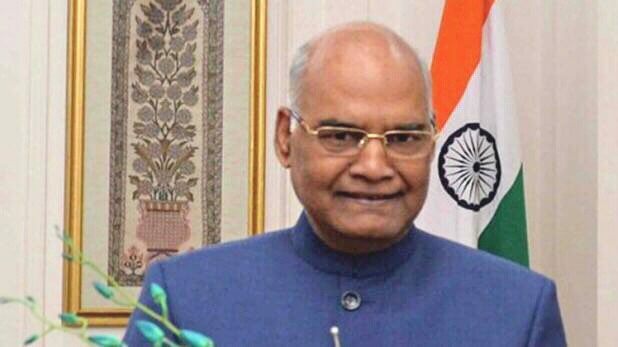 He is the second dalit to become president of India. Mr. Kovind devoted his life in service of poor and marginalized section of society. He has always been strong voice of poor. He is the live example of clean politics in today’s world of cunning and selfish politicians. Excellent article with amazing story of a poor boy with no support to highest position of the nation. True to his position, his history had no iota of selfishness, rivalry, but, balanced, kind hearted man. We r lucky to b ruled by a governance of honest, hard working, people oriented, no nonsense govt. Appreciate sharing wonderful real story. Congrats.